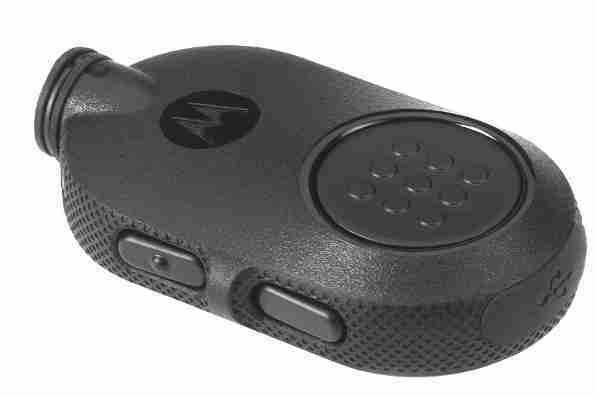 How to Choose the Correct Motorola Bluetooth Accessory for your Radio | Magnum Electronics, Inc.
For the most secure wireless communications that is extremely difficult to hack, choose the mission critical models. These are only available for APX series with the internal Bluetooth option or the XTS series with the external PMLN5792 Mission Critical wireless adapter. Motorola’s proprietary “out of band” pairing with 128-bit encryption provides the best secure connection and only takes a few seconds. Pairing takes place when the radio and the audio accessory are within an inch of each other. It does not matter which radio you use – pairing is easy and quick. If you have an APX 7000, APX6000, or APX 4000, the internal Bluetooth option must be enabled. At this time, Mission Critical Wireless is only available for APX radios although it is rumored standard Bluetooth might be available in the future. It is possible to use an external third party or MOTOTRBO adapter but it would not support the encrypted accessories. The PMLN5792 external adapter is compatible with the XTS 5000, XTS 2500, XTS 1500, MT1500, and PR1500. Cancelled models including XTS3000, HT1000, MTS2000, etc. will probably work but are not supported. Optional wireless earbuds (NNTN8294 11.4 inch cable) or (NNTN8295 45.7 inch cable) are available that attach to the NTN2571 PTT pod. 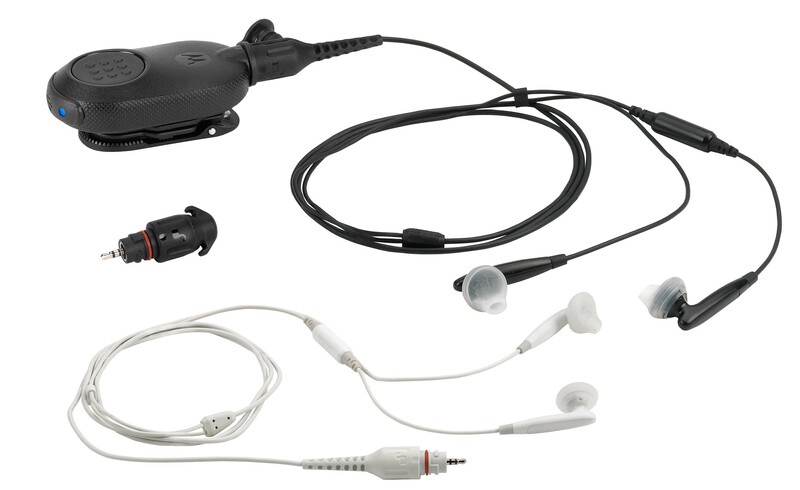 For covert surveillance operations, the NNTN8295 uses ipod type earbuds or any 3.5mm audio accessory. Enhanced Operations Critical provides intrinsically-safe operation with grab-and-go touch pairing. 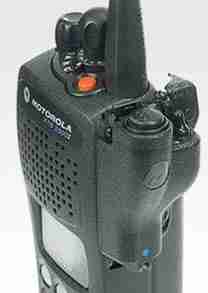 It is only available with the MOTOTRBO XPR 6300, XPR 6350, XPR 6380, XPR 6500, XPR 6550, and XPR 6580 radios. The PMLN5993 external adapter uses the NTN2570 earpiece. We tried the PMLN5993 adapter with both the APX 4000 and XPR 7550 after getting conflicting answers from Motorola tech support. We tried multiple times with different accessories without success. Standard Bluetooth adapters are available for all XTS, and XPR MOTOTRBO radio models. The RMN5104 allows the XTS 5000, XTS 2500, XTS 1500, MT1500, and PR1500 to use any standard Bluetooth headset. The PMLN5712 adapter is designed for the XPR6100/6300/6500 series. 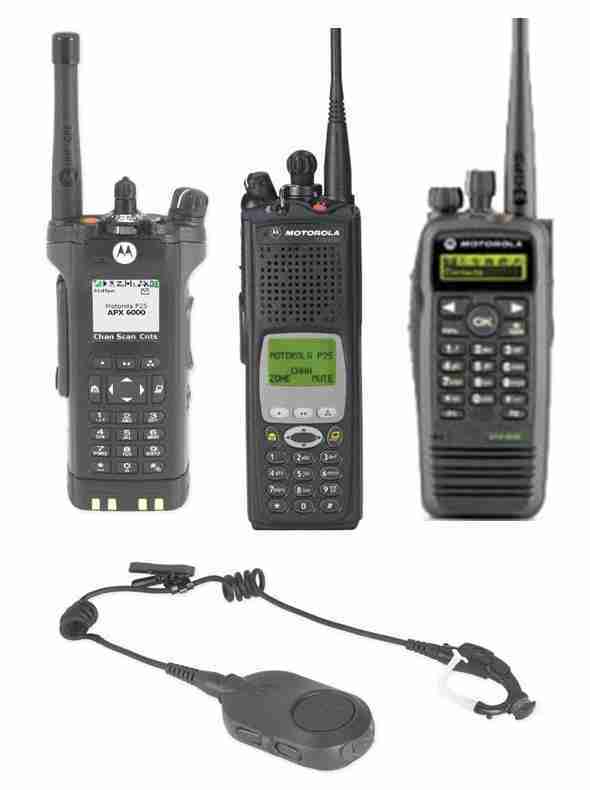 The XPR5350/5550 mobile radio, XPR7350/7550 portable, and the SL7550 have internal Bluetooth included. Optional wireless earbuds (NNTN8294 11.4 inch cable) or (NNTN8295 45.7 inch cable) are available that attach to the NNTN8127 PTT pod. This entry was posted in APX Radios, Bluetooth, MOTOTRBO, Portable Radios, Tech Tips and tagged 2-way radio, APX, Bluetooth, mission-critical, MOTOTRBO, XTS by magnumelectronics. Bookmark the permalink.